I was born January 24, 1985. My nickname is Mini Raptor. I went to Radford for a couple of years. My hat size is 7 3/8. My brother is Brandon, 19, and my sisters are Alana, 13, Catherine, 13, Chelsea, 22. My beautiful mom is Brenda Kays and my pops is Mike Kays. My pops was known for being in the military and helping out the skateboard community in Hawai‘i, also shredding “The Gnar” when he feels like it. 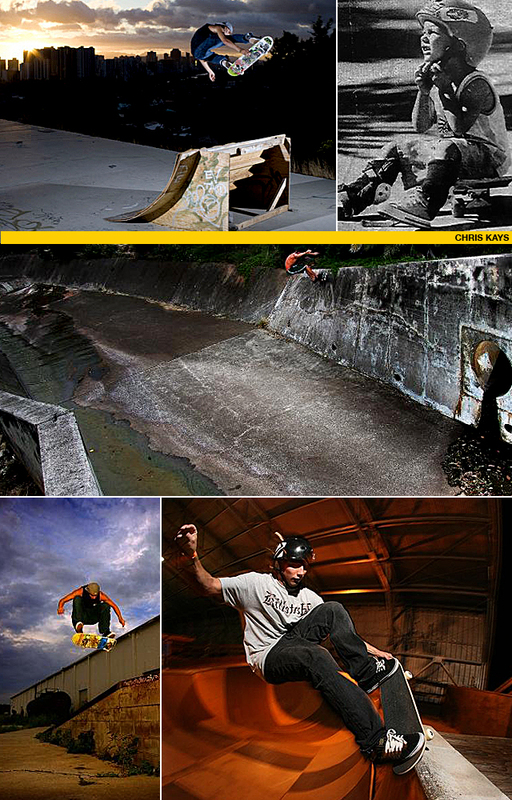 My favorite place to skate near home is Wallos, Hickam hanger, A‘ala, North Shore and UH campus. My favorite place to skate in the world is Hawai‘i, NYC, LA and Midwest. I ride for FITTED, BayVI, Natural Koncepts, Blue Hawaii, Vans, Dragon and Saigon Passion 3. I was 3rd in SKATE Ultimate Boarder, 12th over all, 3rd Volcom Damn Am Best Trick, Wild Card in Quiksilver Bowl Jam at Cholo’s. My gnarliest skating experience was a torn ACL and skating in ghetto’s in the south. My favorite skater of all-time is Hosoi, Gonz, Stranger, Cards, Way, Mariano and Cuzzo when he use to skate. Haha. I listen to Weezy, Bad Brains, MIA, Kid Cudi, Diplo, Hollertronix, The Beatles, NWA and Misfits. I’m a UH Warriors fan because that’s our home team, fool! When I’m not skating I like drinking at strip clubs, surfing and snowboarding. My career goal is to travel, skate for fun and make a little cash doing it. Own a business. Have a big house and family with an empty pool in my back yard somewhere in Hawai‘i. I represent for Hawai‘i by saying chee-hu at any event off island. My dad for everything. Family. Friends. Cuzzo. Everyone at FITTED. All my sponsors and all the crack heads in China Town. Aloha.